•Accepts all entertainment media (DVD, photos, waterproof video camera) via a video input. •AIS compatible (see pages 46 and 50). Full 12" (304 mm) SVGA daylight viewable, ultra-bright screen. 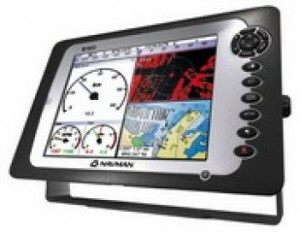 With a 800 x 600 pixel resolution, the 8120 delivers an exceptional image quality, displays superior precision chart and sonar data with a crisp video image.